Buying your own house is by far the biggest and most important investment most of us will make in our lives. It so often happens that you find your perfect house, fall in love with it and end up buying without thinking about any consequences. There are so many things to consider and much that could go wrong. I speak from experience. It wasn’t long ago that we were hunting for our perfect family home. Here is what I have learnt after weeks and months of trying to get on the property ladder. It goes without saying that the location of your house is of prime importance. Issues like school catchment, commuter links and leisure activities will often determine where you buy. Most schools should offer maps of their catchment area, so if you are keen on a specific primary or secondary, be sure to look for a property zoned for that school. A good neighbourhood can be the difference between a dream home and a nightmare. Police.uk is an incredibly useful website that shows crime maps based on postcode. It can’t predict future crime patterns, but does give a general idea of how areas compare. 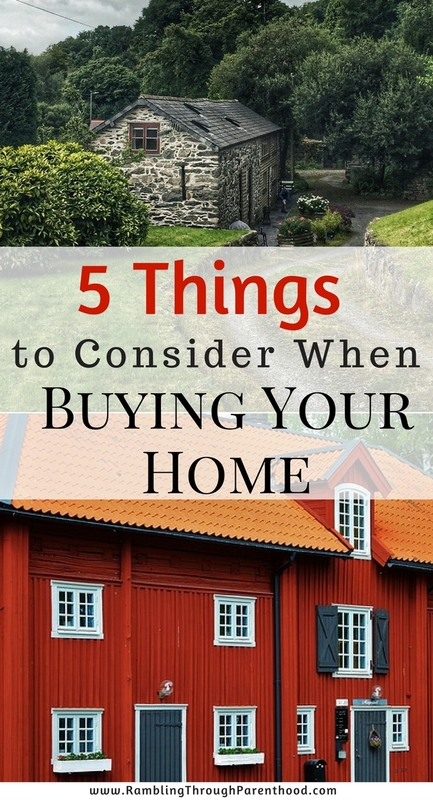 Make sure you have saved up some money towards the deposit for your house. Some lenders offer schemes suitable for first-time buyers or those who need help with their deposits. The Government’s Help to Buy scheme is one such. Compare offers, including rates and repayment options, before you choose something that suits your needs. It is useful to have a ‘mortgage in principal’ offer in place before you go looking for a property. Now you know where you want to buy and how much you can afford to spend, it is time to think about the type of property you want. Be realistic. Make a list of specifications that are an absolute must and those that are open to compromise. Think about how much renovation you are willing to undertake and budget for it. Number of bedrooms may be a sticking point for someone, whereas age of the property may be an issue with someone else. Whether you are looking at online portfolios or visiting an estate agent, it is important to be clear on what you want in your dream home. I cannot stress the importance of a detailed survey and thorough legal checks before you exchange contracts. The last thing you want is for nasty surprises ruining your beautiful, perfect new home. Be sure to check if the property is freehold or lease-hold. You might consider getting an asbestos survey in addition to a structural one. Yourlegalfriend.com suggests that it is possible for any house built before 2000 to have asbestos in it. Make sure the contract includes exactly what is being included in the sale. Things like soft furnishings and white goods do not come as standard. So always ask if you are not sure before signing on the dotted line. Buying your own house sounds like a daunting prospect. But with a little effort, it can be the best thing you will ever buy and make your own. Do you have any tips when buying a house? Please share them in the comments below.